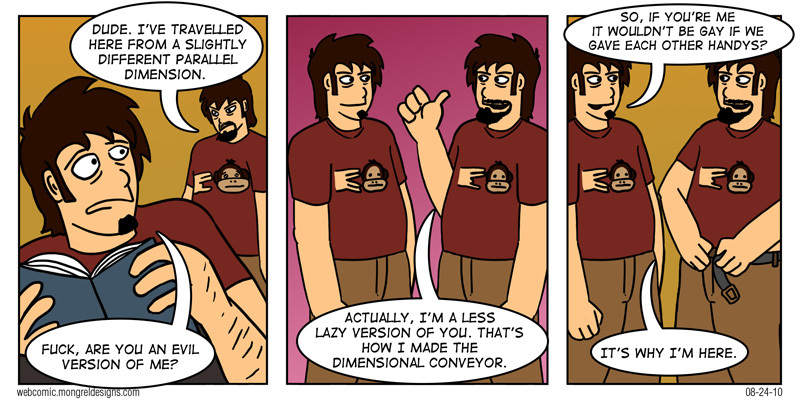 This is from the old Mongrel Designs Webcomic, which ran a few years ago. The current comic is in the same continuity. More or less. Don’t think about it too hard.